Coleslaw, great and delicious recipe! 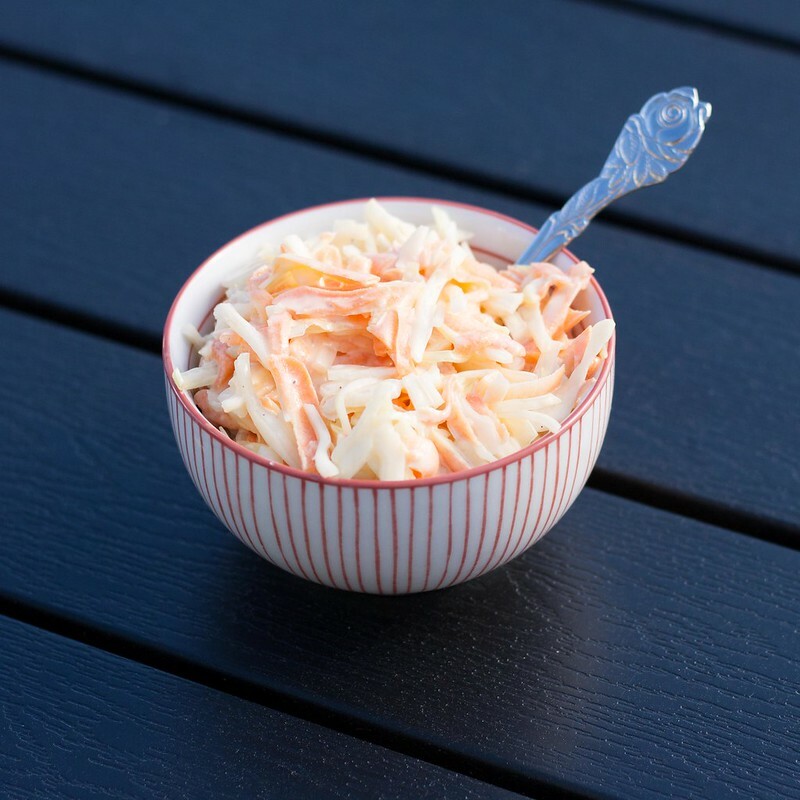 Coleslaw is differently not a new invention but it is only in the resent years that it has become famous in Denmark and Europe in general. 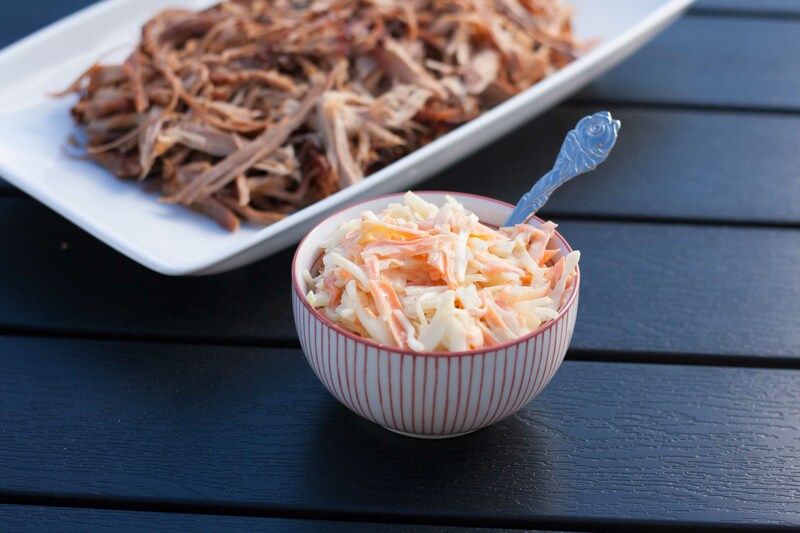 The fame of coleslaw is most likely a result of pulled pork which has become super famous in Denmark. Pulled pork and coleslaw is like two inseparable friends – and are both the two ingredients in a pulled pork burger. We have been traveling a lot in the homeland of pulled pork, the US, where pulled pork is one of the national dishes. You can get a pulled porker burger at each street corner – and they are super delicious. We are both in love with this food. There are many different recipes for coleslaw but the two main ingredients are always green cabbage and carrots. The secret for delicious coleslaw is the dressing. We have used this recipe for homemade coleslaw many times and served it for family and friends – each time with great success! 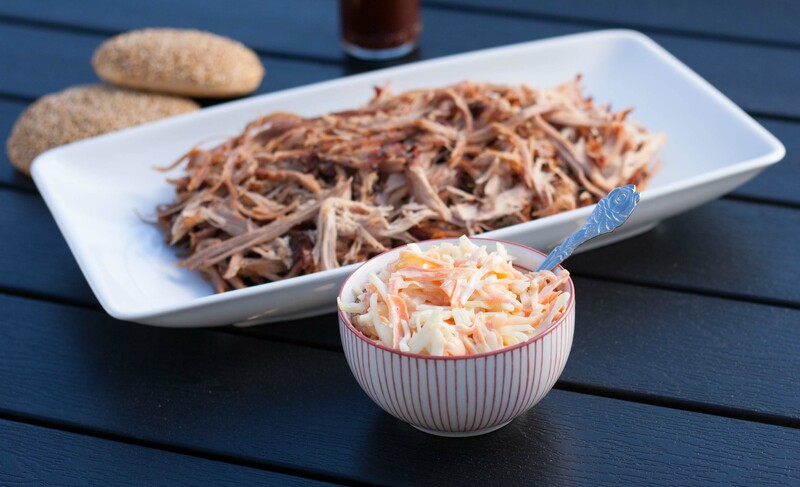 You can also find the recipe we use to make pulled pork here. Step 1: Mix a dressing from the sour cream, mayonnaise, balsamic, sugar and salt and pepper. Step 2: Fine chop/shred the green cabbage and the carrots and mix it together in a large bowl. Step 3: Pour the dressing in the cabbage/carrot mixture and mix it well. Add more salt, pepper and sugar if you prefer. Step 4: Leave the coleslaw in the fridge for a couple of hours before serving.